The contract is estimated at 440 million Euro, the company announced. The subway company plans ro acquire between 43 and 51 new trains within a seven year contract and a value estimated at 439.5 million Euro. The trains will have 258 and respectively 306 wagons. The trains will be acquired following an open auction and the money will be secured with a EIB credit. Within the auction, the offer price stands for 60 per cent of the eligibility criteria, while the other conditions refer to technical performances, delivery terms, the maintenance costs and conditions and the guarantee terms. The limit data for submitting the offers is August 18. 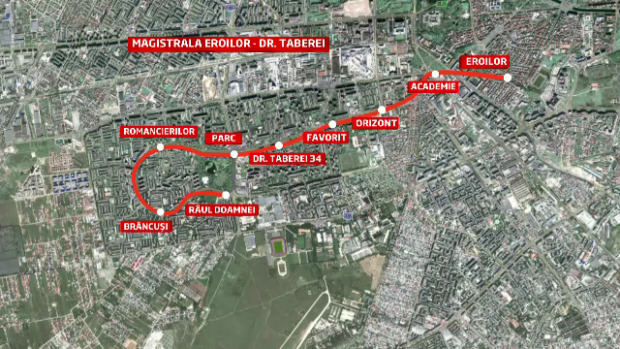 According to Metrorex data, around 600.000 people travel daily using the subway trains, a third of total population in Bucharest. By 2020, Metrorex budgeted investments worth 900 million Euro, out of which 600.000 are secured from European financings. Articolul următorBistro Orizont va recomanda Ciorba de burta cu smantana si ardei!